Melody Belle’s victory in the Gr. 1 BCD Group Sprint at Te Rapa yesterday marked several milestones for those associated with the outstanding mare. The win provided stand-in rider Troy Harris with his first Group One success since 2008 as well as securing trainer Jamie Richards his 50th victory at stakes level. 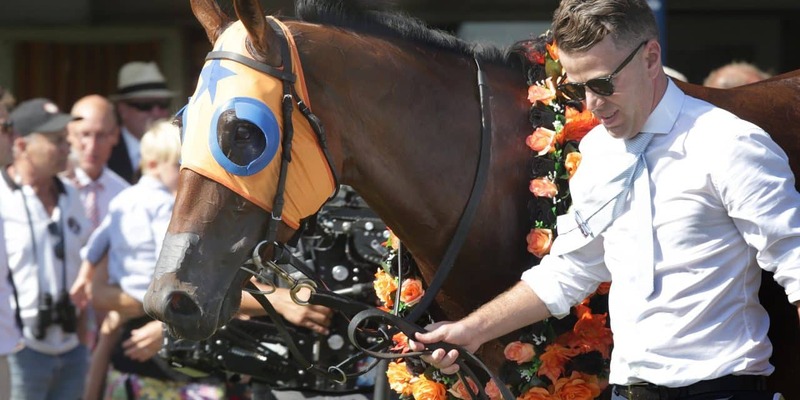 That is a remarkable achievement for the 29-year-old who is in his first full season in sole charge of the Matamata-based Te Akau Racing stables after commencing his career in partnership with Stephen Autridge less than four years ago. “I wasn’t actually aware of it so, if that is correct, then I’m certainly pleased to reach that mark at this stage of my career,” Richards said when informed of the milestone. Richards was quick to admit that any prospect of achieving half a century of stakes wins seemed a remote possibility as Melody Belle appeared to be struggling mid-way through yesterday’s contest. “My thoughts drifted a bit to what had happened last time at Trentham and maybe she was trying to tell us she needed a break. When she picked up in the straight and finished off like that it made it a very special win. Melody Belle will now head to the Gr. 1 Haunui Farm WFA Group One Classic at Otaki on February 23 before being sent for a well-deserved break. Richards also confirmed that exciting two-year-old Probabeel will contest the Gr. 3 Magic Night Stakes at Randwick on March 16 ahead of the Gr. 1 ATC Sires’ Produce Stakes at the same venue three weeks later. Owned by Cambridge Stud proprietors Brendan and Jo Lindsay, Probabeel has won three of her four starts including a stunning performance in the Karaka Million 2YO at Ellerslie on January 26. “She had 10 days in the paddock after the Karaka Million and really thrived,” Richards said. “She has come back looking a picture so we’re really excited to be able to confirm where she will be going next. “Her main aim is the Sires’ in early April, so we will head across before then for a lead in to that in the Magic Night Stakes in March.